On April 2nd the Hillsborough Daisy Girl Scout Troop got a real treat! 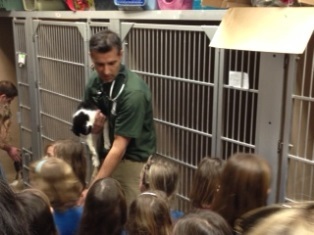 They had a personal tour of Belle Mead Animal Hospital. The 45 minute tour gave the children a good inside view of the hospital. From the waiting room, they were taken through the exam rooms and into the treatment area. The girls got a close up view of the X-ray equipment where I explained how the doctor and technician needs to be with the animal to position it correctly and how the lead apron shields the body. The children were also taken to the surgical suite and dental suite. 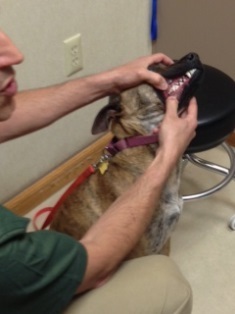 I introduced them to my own dog, Heidi, and was able to show them Heidi’s teeth to help illustrate how important it is to brush your dog’s teeth on a regular basis. The troop also got to see the cat and dog medical boarding area as well as the kennel. 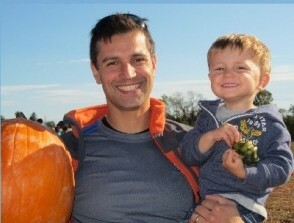 Along the way we also discussed how to be a good pet parent and protector. We talked about the importance of feeding pets at least twice a day and making sure the pet always has access to fresh water. The importance of puppy training was discussed and why one should never approach a dog or cat without the owner’s permission and proper precaution. I explained the proper way to pet a dog to minimize fright and ensure safety. I also explained what a microchip is and demonstrated the scanning process on my own dog. The girls seemed delighted with the tour and appeared eager to become good pet parents themselves. We enjoy educating the youngest members of our community about proper pet care. 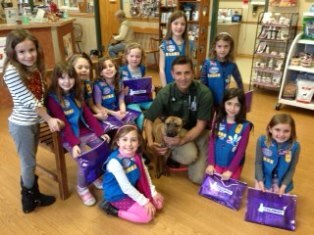 Belle Mead Animal Hospital offers tours on a regular basis to the local Boy Scout and Girl Scout Troops. We also offer tours to interested individuals and new clients who might want to visit the hospital before bringing their pet in for an exam. Just give us a call in advance, and one of our team members can help arrange the appointment. This entry was posted in Events, News, Veterinary Services and tagged Pet Health, Veterinary Services. Bookmark the permalink.